Historically Black Colleges and Universities (HBCUs) are institutions founded in the United States specifically to serve African American students. The Higher Education Act of 1965 designates HBCUs as nationally accredited institutions formed before 1964 to provide education to black Americans. There are 102 historically black colleges, both public and private in the United States today. Some of these include Tuskegee University in Alabama, Lincoln University in Missouri, and Howard University in Washington, DC. For a complete list of HBCUs, see here. Many HBCUs were formed after the Second Morrill Act of 1890, which stated that for every land-grant university, a state founded specifically for white students, they were also required to start one for black students. However, some HBCU colleges, such as Cheyney University in Pennsylvania, were founded before the Civil War. Unfortunately, many of the HBCUs are facing several challenges that may force them to close their doors. Having to keep up with accreditation standards, as well as issues such as declining enrollment, low funding, and decreased graduation rates, make for an uncertain future for these institutions. The main problem is funding, and it contributes to the rest of the issues that HBCU schools face. These schools already struggle more than other colleges because they have fewer resources, including lower endowments and less money coming in from alumni giving, according to University of Pennsylvania education professor Marybeth Gasman, who directs the Penn Center for Minority Serving Institutions (MSIs). Historically black colleges receive almost half as much money in state funding per student than predominantly white institutions, according to a Business Insider report. On top of that, the 2011 updates to the federal PLUS loans have made it impossible for many students to attend college at an HBCU. PLUS loans are federal loans given to the families of students who have exhausted all other federal financial aid options. When the criteria were updated in 2011, many families were rejected and their students were no longer able to stay in college. Enrollment numbers plummeted and took funding—particularly student-paid tuition—down with them. While state funding was previously based on enrollment, it is now based on outcome-related factors, such as student success and graduation rates. However, HBCU schools enroll more low-income and underprepared students. Statistically, these students are less likely to graduate from college, so the graduation rates for HBCUs naturally tend to go down, and funding decreases as well. The decline in enrollment and diminishing funds combine to create another big problem. Many HBCU colleges face the loss of their accreditation. Schools, such as Wilberforce University and South Carolina State University, are millions of dollars in debt, and their enrollment numbers are not doing anything to help. Others are re-examining the selection of degrees they offer and their instruction methods. This is revolutionary since most of these schools have programs and degrees built on their mission and the history of the institution. Thankfully, these difficulties do not guarantee the end of Historically Black Colleges and Universities. Though minority schools make up only 3% of secondary education institutions in the United States, HBCUs enroll more than 10% of the nation’s African American students. In addition, only a handful of the 102 HBCUs are in real trouble. Like other minority colleges, HBCUs attract students who share a common ethnic and cultural background with their fellow students. 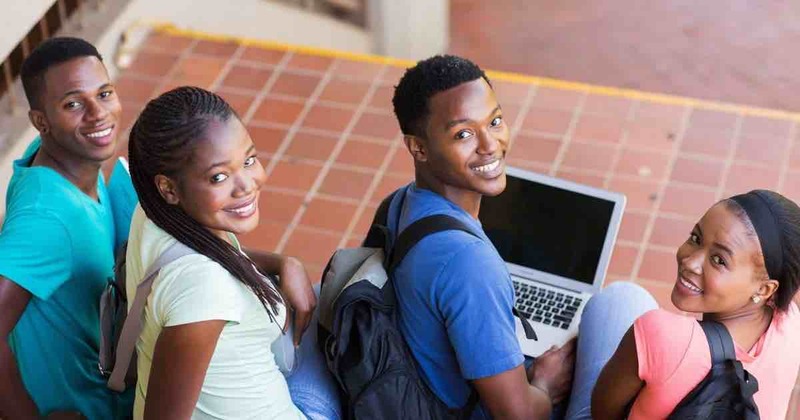 Now that most predominately white institutions are no longer turning away black students on the basis of race, HBCUs are looking to recruit more racially diverse students and students who are financially secure enough and prepared to graduate with a degree. Historically, black colleges are also known to produce outstanding graduates. Each year, the White House Initiative on Historically Black Colleges and Universities select 63 students from HBCUs and recognize them as Competitiveness Scholars. Regarded as the highest recognition the White House Initiative can bestow, this award goes to students who have prepared for and achieved the best opportunities to create long-term improvements in their communities. Competitive scholars then spend a year sharing their practices to support competitiveness among both individual students and HBCU schools to prepare them for successful futures. While historically black colleges are up against a lot of challenges that can make the future look dim, such as enrollment numbers declining, financial difficulties, and losing their accreditation, there is also some hope. Opening their doors to students from more diverse backgrounds can increase their cultural diversity and provide more funding, and more opportunities for HBCUs to show the world the kind of excellence they pride in their students.